Giles county PSA is currently seeking candidates for a Water Plant Operator within Giles County. General Description: Understand water treatment theory/technology and apply that knowledge to the water treatment process/production and the transmission/distribution of water to the end user. Monitoring of gauges, flowmeters, charts, system control computer, SCADA system, etc. Conducting water analysis tests such as hardness, alkalinity, PH, turbidity, chlorine residual, etc., for treatment process control. Determine chemical feed rates and adjust chemical dosages. Determine and maintain proper flow rates and in accordance with water consumption demand. Maintain treatment records in accordance with state and federal regulations. Conduct water analysis tests to ensure safety and water quality by collecting representative water samples and testing for contaminants and properties such as color, odor, chlorine levels, etc. Collect representative water samples to be used by other agencies for water analysis testing for regulation compliance. Ensures that plant operations are in compliance with operating guidelines and that treated water is safe and acceptable entering the distribution system. Maintains all required records such as operating logs, chemical and repair part inventories, maintenance logs. Performs routine preventive maintenance on plant equipment to include: operating adjustments and calibrations on equipment, basic mechanical and electrical work and cleaning, lubricating and replacing equipment parts. Perform building and grounds maintenance as needed, including painting, cleaning, etc. Ability to maintain effective working relationships with a diversified group of people under trying and stressful conditions. Ability to access and interact with computer control systems. Ability to understand basic math and chemistry and being able to apply the knowledge to the water treatment process. Ability to understand mechanical problems and equipment. Additional competencies include: Leaning on the fly, problem solving, time management, function technical skills, organizational agility. Qualifications: High school diploma/equivalent. 3 or more years of Water Plant Experience. Must possess as a minimum a Class VI Waterworks License, a valid driver license and a clean driving record. Schedule Varies: May include day, evening, night and weekend work. If interested, pick up an application at the Giles County Administration Office located at 315 North Main Street, Pearisburg, VA. Phone, 540-921-2525. 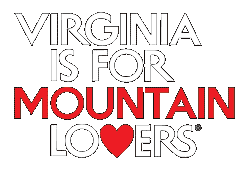 Applications are also located on the Giles County webpage at the following location: http://virginiasmtnplayground.com/jobs-and-rfps/ Please include a resume with application.